Firstly Mark, how wonderful it is to have you back on air and giving us the benefit of your take. I for one, have missed your regular posts. There is only one thing I take from this: a sense of urgency. To finish the two books I’m writing before Christmas. 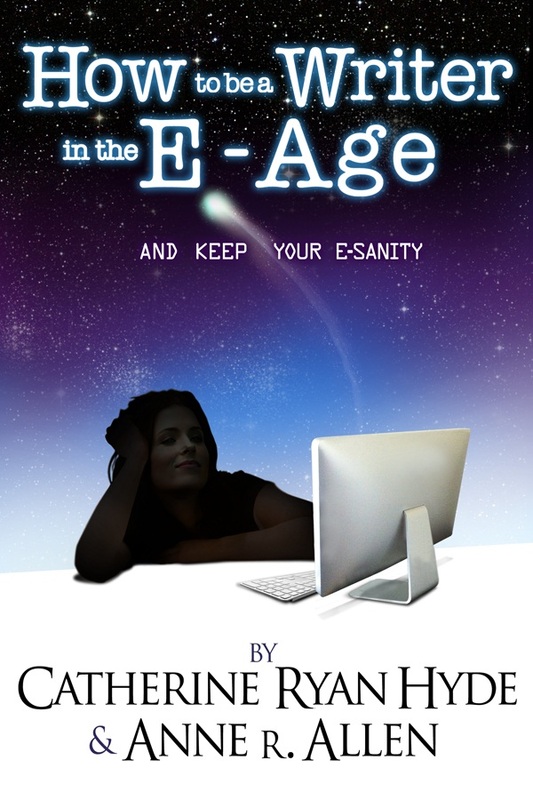 That’s all the drafts, professional edit, cover designs, formatting … ho hum! Welcome back, good to ‘see’ you! Urgency is indeed the key here. Getting as much out as possible (on as many platforms as possible, but especially Kindle UK, Kobo and Waterstone’s) and targeting promotions for December through February should pay dividends, especially for a UK-located series like Gisborne. At this stage there are few, if any, UK-orientated sites worth paying to be featured on, but I suspect that will change in the coming twelve months and by this time next year the UK ebook review scene will be much more vibrant. 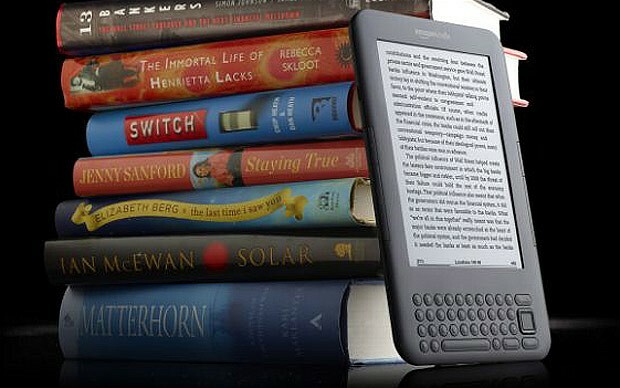 At the moment it still feels, except for break-out sellers, that most ebooks are being sold to fellow writers, simply because most UK e-reader users are still fellow writers. I think having somewhere to buy Kindles in real life will be a huge booster for them. A lot of people will see something in a shop and think how useful it’d be – but won’t go seeking it out on the net. Because the Kindle hasn’t had a shop anywhere before, it’ll be a nice change now. Also, it’ll hopefully mean one can buy Kindle accessories – like cases and replacement chargers (I’ve sort of broken mine already) – without having to order it from Amazon, where it can take some time to arrive, especially at Christmas or in bad weather. Don’t know what Waterstone’s are getting from it, as you say, but perhaps it’s just that Amazon won’t want them to go bust as it’ll lose their stores, so they’ll keep it afloat whatever it takes and that’ll be a help. You’ll have to keep me up to date on what’s happening in the big London stores of Waterstone”s and W.H. Smiths, Cap’n, as these will be the first priority for the wi-fi installations and kiosks. Is Kobo-W.H. Smith advertising the Kobo ereaders and tablet on the Underground yet? I wouldn’t know, I rarely take the underground (it doesn’t go far enough South to reach me). But I didn’t see any when I went up to Baker Street a couple of weeks ago. Ha ha, I can’t guarantee up-to-date. It’s not as if I go up to town all that often and I rarely have enough money to go to bookshops (especially at the moment, I’m skinter than I’ve been in years), but I’ll certainly be keeping an eye on it anyway! What an interesting turn of events up there – I reckon the more available Kindles are the better, myself, but to be honest, are they all not fighting in the same market for the same sort of ends? Not having read Tolkein I had absolutely no idea what a palantir was and had to go read about it on Wiki. I’m not much the wiser now. The mere mention of Tolkein sends me into a comatose state. If I don’t wake up, it;s your fault, Ms. Charley. Doctor Livingst…I mean Mark, I presume. Great to hear your voice again. Hope you’re doing well. Making the big comeback this summer, Tom. Will be in touch asap. job with the launch! Bravo & congratulations to all involved. & a reason why book selling is in its sorry state. Can we say, clueless? *Didn’t some local store manager gather the troops for an announcement? (what’re they? ), magazines & on TV ? Sadly not, Ruth. But I can see that changing in the coming months. Jim Daunt took over a store that had been very neglected by its previous management, and I think with the anticipated B&N partnership deal it was a matter of playing things quietly pending that outcome. But sad to say Kindle UK have been equally remiss, in failing to give the UK and European sites anywhere near the advantages am.com has. No KindleFire. No gifting option for ebooks. A level of KDP customer service that makes eBay c.s. look positively efficient. 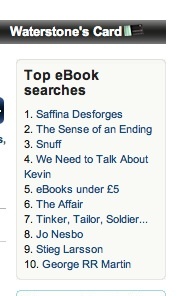 And of course Kindle UK started a year later than Kindle US, and will forever be playing catch-up. But with the real competition from Kobo now, Amazon has little choice but to bring Kindle UK up to speed. Interesting post, as ever, Mark. But, hey, Christmas is a long way off! Our local WH Smith (in Belfast) has just closed down. Who knows what will be happening by December? Presumably Belfast still has a fair number of W.H, Smith stores still active, Gerry? Christmas a long way off? There speaks the voice of youth and vitality! Hope your solar powered technology works out for you. :} It would be nice to have you back and posting regularly. Very interesting news you have given us. I can’t wait until Anne and Catherine’s book come out. Hopefully it will help with my sanity, though I’m thinking more sleep might be the real solution. So much to do so little time in this fast past world over here. Happy to see your post in my e-mail box. The U.K. has always treated me better than the U.S. even when I was trad published. Therefore, I want to know what is going on over there. Thanks for laying out the details for me. Glad to hear you’re alright! And it sounds like things across the pond are getting interesting. What a great overview of the UK market. Now I understand why you want my fourth Camilla mystery to be ready for Christmas. The UK is my biggest market.